For better or for worse, our daily lives are lived online. From banking to socializing, to streaming our favorite TV shows, Americans spend a large part of their day sitting in front of a computer or other electronic device. While the ease of access has expedited the time it takes to do daily tasks, the reality is, sitting in front of a computer screen each day takes a toll on our bodies. Even those who are mindful of the hours spent in front of a screen are still at risk of straining or injuring their bodies due to excessive time spent hunched over top of a screen. This month we take a moment to reflect on some of the practices we can incorporate into our daily routines to help ensure we are receiving the benefits of a tech-enabled life without compromising the health and wellness of our bodies and minds in the process. 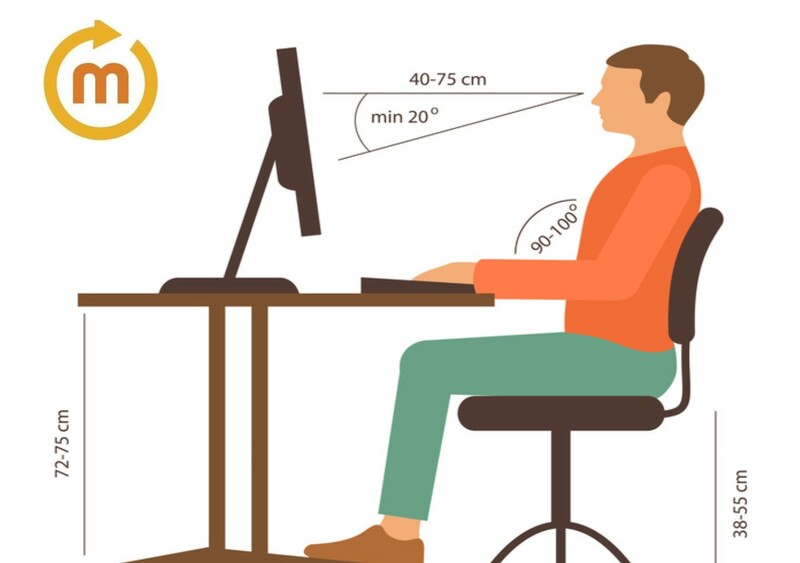 As most of the population work in jobs that have us engaging with a computer screen for the majority of the day, we are most adversely affected by our posture while sitting at our desks. Injuries that relate to poor posture may manifest themselves through pain or discomfort in your: neck, back or through headaches. While it seems counter-intuitive (it doesn’t seem possible to injure yourself through doing nothing but sitting down), our bodies were not designed to sit in one place for extended periods of time. As a result, many hours spent at your desk will cause your muscles and joints to revolt, and could even increase your risk of getting a herniated disc. · Have a desk chair that pushes the small of your back out. This helps to promote a more natural spine alignment. · Get up and move around every 20-30 mins. This doesn’t need to be excessive movement. A stroll around the office or completing 3-4 easy stretches at your desk will suffice. · Try not to cross your legs. As comfortable as this feels, crossing your legs or your feet puts added pressure on your back. Keep feet flat on the ground or on a footrest. The majority of injuries sustained through computer use and our office workstations do not happen instantaneously. They happen as the habits are repeated over time. The most common form of computer-related injury is Repetitive Strain Injury (RSI). Soft tissues, muscles, joints, and tendons are all susceptible to this kind of injury. If left unchecked, RSI can cause irreparable damage. Similarly, eye damage caused from overexertion and staring at a harsh computer screen all day can lead to your eyes feeling dry, having blurred vision, or experiencing photophobia (a sensitivity to light). · If working on a desktop (not a laptop) keep the distance between your keyboard and your screen adequate enough to keep your wrists comfortable. The keyboard on a laptop is actually too close to the screen to comfortably accommodate wrists for extended periods of time. · Keep your mouse close to your keyboard and remove your hands from the mouse or keyboard when you are not using them. This allows your hands to “rest” in a natural position. · Try standing. 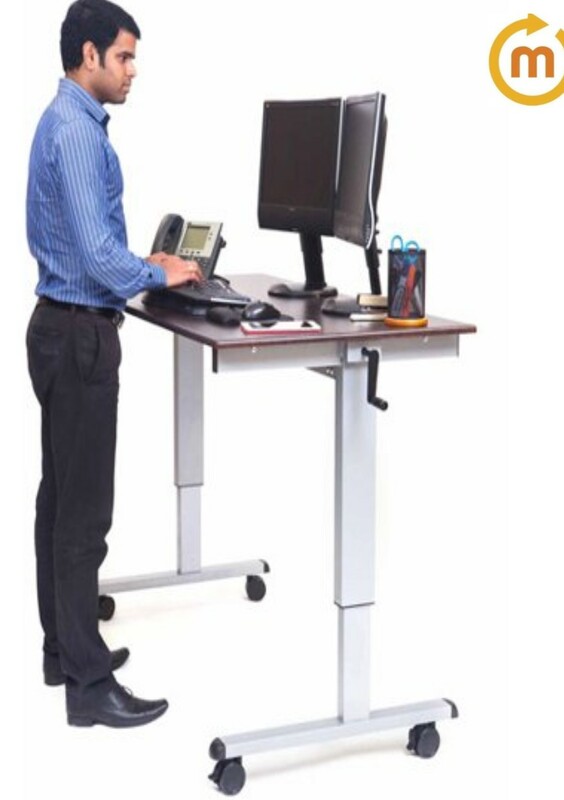 Increasingly, at schools and offices, people are working at “standing desks”. This may be an option for you. You may not have a physically demanding job, but that does not mean you are not at risk for workplace-related injuries! Our team of professionals has the knowledge and experience to help you overcome any pain or discomfort as a result of a workplace injury. We will tailor a recovery program specifically targeting your needs to help you get back to the lifestyle you are accustomed to living! Visit our Facebook page at www.facebook.com/millerphysicaltherapydelraybeach or give us a call at 561.278.6055 to see how we can help you to start feeling better! You don't need a prescription to see us! Direct access eliminates barriers and allows for patients to receive the treatment they require without obstruction. With less financial burden, less adjunctive testing and fewer prescribed medicines, direct access changes the way patients can manage their health and well-being by improving efficacy and providing a cost-effective alternative.